have a “White Christmas”! 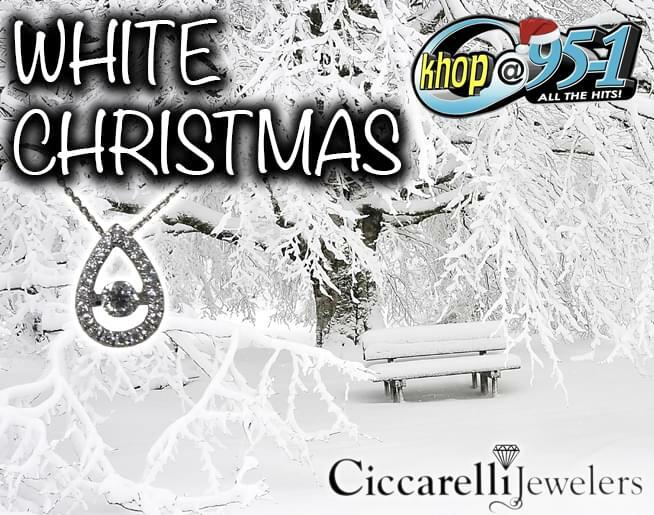 Listen to KHOP to win a set of beautiful white gold hoops from your favorite jewelry store, Ciccarelli Jewelers in Modesto! When you win, you’ll qualify for the grand prize, a gorgeous $3,000 diamond necklace!